eResumes4Vips has created an Internet's FIRST. You can post your resume right here...right now. Your resume will be on the internet for employers to GOOGLE. You'll have at least 500 Web-Visitors viewing your resume. Lastly, those 500 Web-Visitors will be able to post public comments and critiques for your resume. This is an Incredible Opportunity! A FREE resume critique times 500 x 30 days x forever...AWESOME! Don't you agree that this is the Most Incredible Resume-Writing-Examples (free) critique service on the Web. Don't be Bashful...Submit Your Resume, Now! Before we move forward with our resume writing examples, some ground rules. First, let's all practice the spirit of brotherly and sisterly love. What does that mean? Simply, we enter our resume data with love; we also Critique the resume submissions with love. 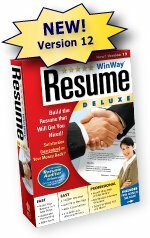 Our 'Real-World' Resume Writing Examples will benefit the entire Job-Hunting Universe! Be it resume writing, resume writing tips, or for a resume writing waitress...Let's get started.